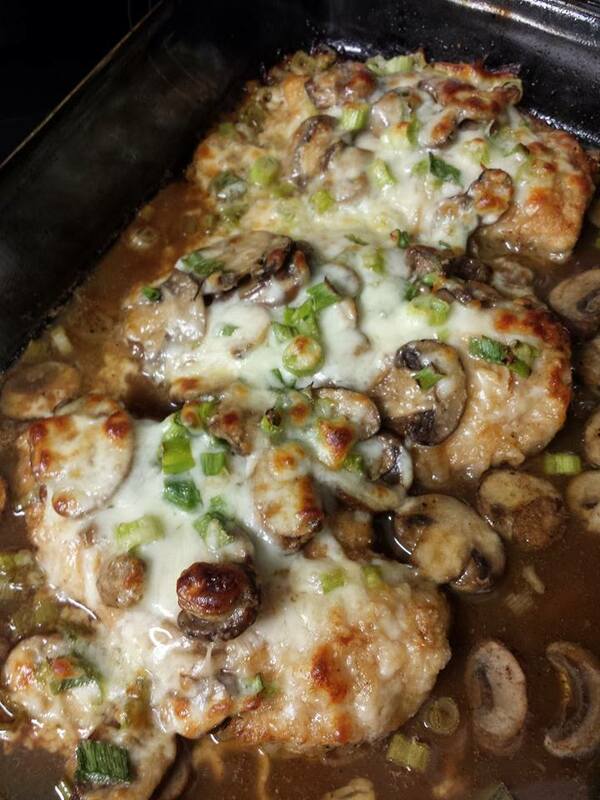 Amazing chicken Lombardy recipe – easy to make in the Philippines! Chicken Lombardy is a firm favourite in the West but can easily be prepared in the Philippines too. Every ingredient is widely available, and every step is easy to follow. Don’t worry if you can’t find butter or wine, with a little imagination you can substitute or change anything in this recipe. Cook mushrooms in 2 tablespoons butter in a large nonstick skillet over medium heat – stirring constantly for 3 to 5 minutes or until tender. Remove from heat – set aside. Cut each chicken breast in half lengthwise – Place chicken between 2 sheets of heavy-duty plastic wrap – flatten to 1/8 inch thickness, using a meat mallet or rolling pin. Coat chicken pieces in flour – Cook chicken in batches in 1 to 2 tablespoons of butter (or other oil) in a large non-stick pan over medium heat for 3-4 minutes on each side until golden. Place chicken in a lightly greased baking dish. Repeat procedure, layering the remaining chicken and butter. Reserve the pan drippings in the pan. Sprinkle mushrooms evenly over chicken. Add wine (or equivalent) and broth to the skillet. Bring to a boil. Reduce heat and simmer uncovered for 10 minutes, stirring occasionally. Stir in salt and pepper. Pour sauce over chicken. Combine cheeses and green onions; sprinkle over chicken. Bake uncovered, at 450 degrees for 12 to 14 minutes until the cheese melts.